TreeBud is a one week project made on the theme of Digital Conception and Fabrication. The Kiosk has been thought to be like a corridor that looks like a branch, in which there are some little surprises, like buds on a tree. 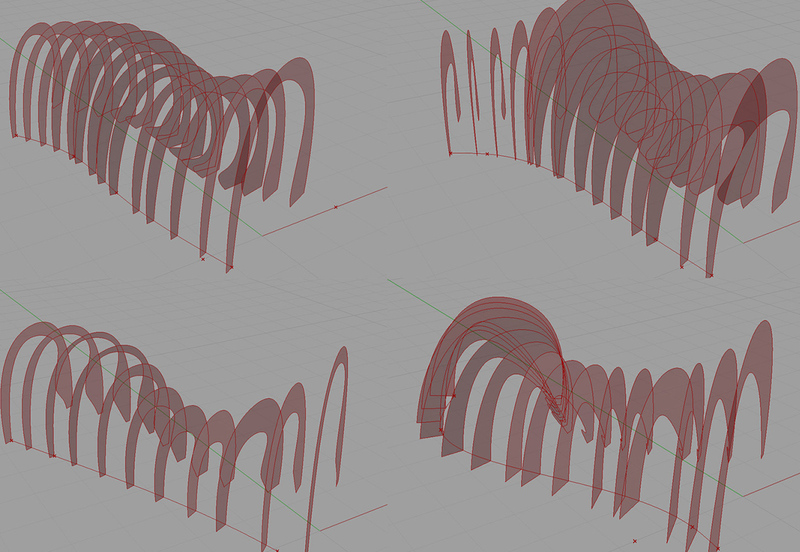 This has been made thanks to Grasshopper, a algorithmic modelling plugin for Rhinoceros. 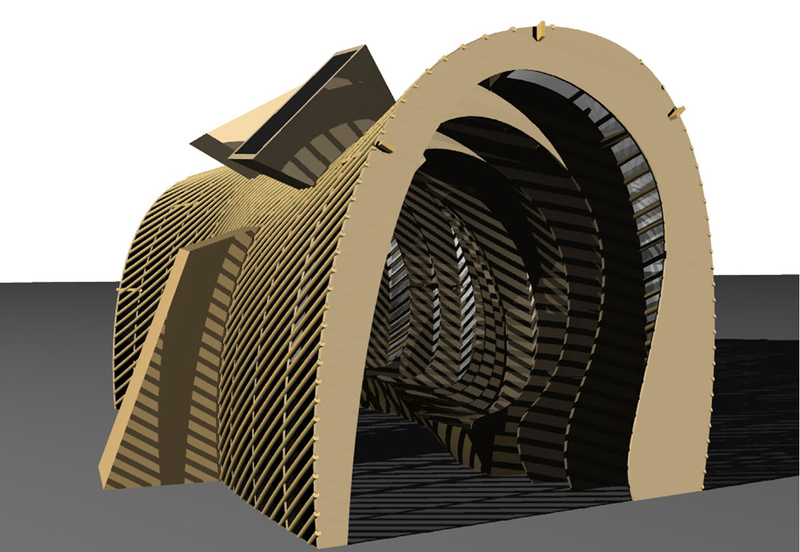 Thanks to this kind of generative design, we could create a program that allowed us to modify the main structure of the kiosk. 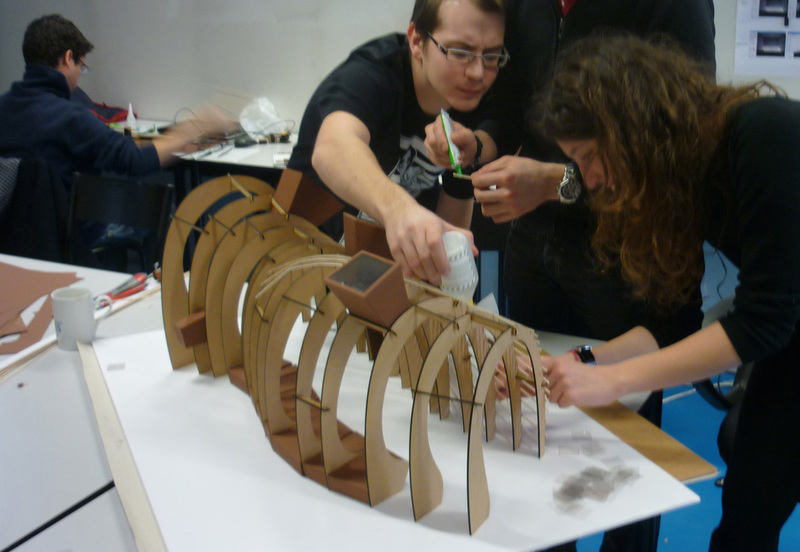 We later printed and lasercut wooden plates to create a scale model.